A two Judge Bench of the Supreme Court Today in Richa Mishra v. State observed that Women in this world, and particularly in India, face various kinds of gender disabilities and discrimination, and Women empowerment is the need of the hour. 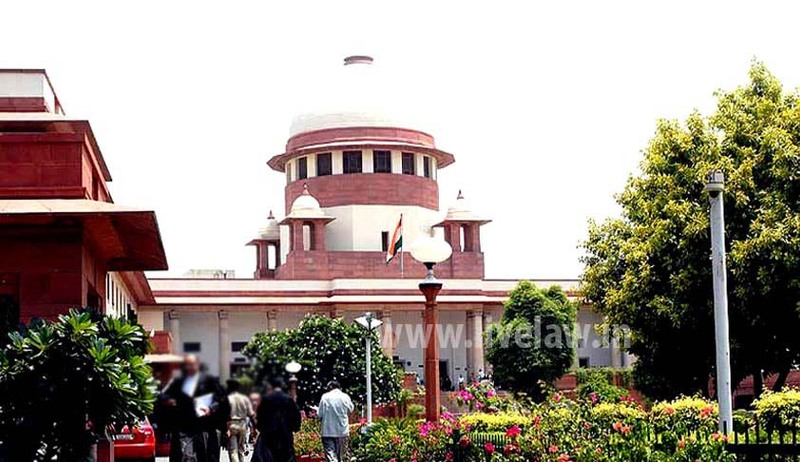 The Bench comprising of Justices A.K.Sikri and Justice A.M.Sapre was hearing an Appeal filed by one Richa Sharma who was denied the post of Deputy Superintendent of Police in Chhattisgarh Police. “Women in this world, and particularly in India, face various kinds of gender disabilities and discrimination. It is notwithstanding the fact that under the Constitution of India, women enjoy a unique status of equality with men. In reality, however, they have yet to go a long way to achieve this Constitutional status. It is now realised that real empowerment would be achieved by women, which would lead to their well-being facilitating enjoyment of rights guaranteed to them, only if there is an economic empowerment of women as well. Till sometime back, the focus was to achieve better treatment for women and for this reason, the concentration was mainly on the well-being of women. Now the focus is shifted to economic empowerment. Such objectives have gradually evolved or broadened to include the active role of women when it comes to development as well. No longer the passive recipients of welfare-enhancing help, women are increasingly seen, by men as well as women as active agents of change: the dynamic promoters of social transformation that can alter the lives of both women and men. It is now realised that there is a bidirectional relationship between economic development and women's empowerment defined as improving the ability of women to access the constituents of development-in particular health, education, earning opportunities, rights, and political participation. This bidirectional relationship is explained by Prof. Amartya Sen by propounding a theory that in one direction, development alone can play a major role in driving down an equality between men and women; in another direction, continuing discrimination against women can hinder development. In this scenario, empowerment can accelerate development. From whichever direction the issue is looked into, it provides justification for giving economic empowerment to women. It is, for this purpose, there is much emphasis on women empowerment (as it leads to economic development) by United Nations World Bank and other such Bodies. Interestingly, the 2012 World Development Report (World Bank 2011) adopts a much more nuanced message. While it emphasizes the “business case” for women empowerment, it mainly takes it as given that the equality between women and men is a desirable goal in itself, and policies should aim to achieve that goal. Poverty and lack of opportunity breed inequality between men and women, so that when economic development reduces poverty, the condition of women improves on two counts: first, when poverty is reduced, the condition of everyone, including women, improves, and second, gender inequality declines as poverty declines, so the condition of women improves more than that of men with development. Economic development, however, is not enough to bring about complete equality between men and women. Policy action is still necessary to achieve equality between genders. Such policy action would be unambiguously justified if empowerment of women also stimulates further development, starting a virtuous cycle. Empowerment of women, thus, is perceived as equipping them to be economically independent, self-reliant, with positive esteem to enable them to face any situation and they should be able to participate in the development activities”.